To all the Tag Heuer fans, I seek your opinion/feedback. 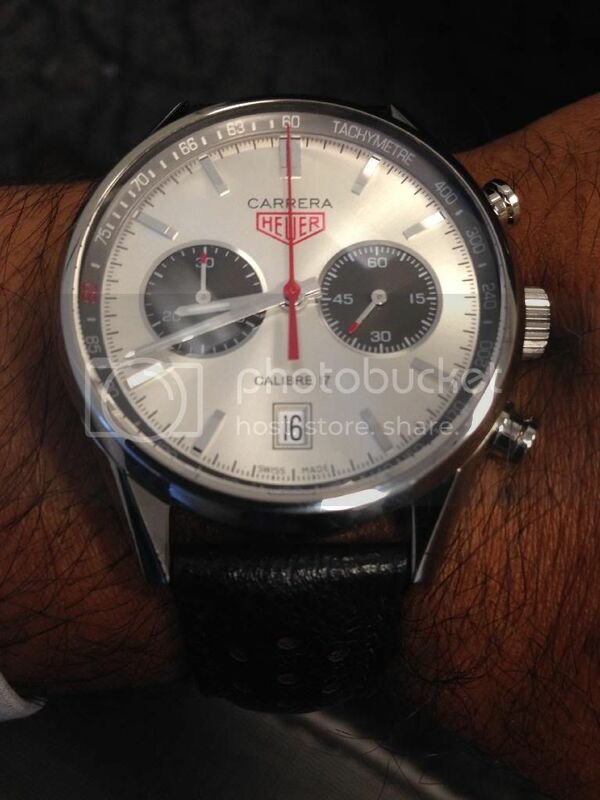 Less than 2 years ago I purchased in Switzerland a Jack Heuer 80th anniversary edition watch. When I first saw it, it caught my eye and ended up purchasing it. It is a beautiful watch but has not had much wrist time in the past 20 months or so. Partially I been thinking of selling it since I do have a Tag Monaco - Steve McQueen and the layout is a tad bit similar to the monaco and to my IWC 5001. I have been debating to sell it, or should I keep it? My collection includes Rolex Sub, Mont Blanc TW, Ulysse Nardin MM 43mm, IWC 5001, AP 15400 and JLC Reverso Duo.